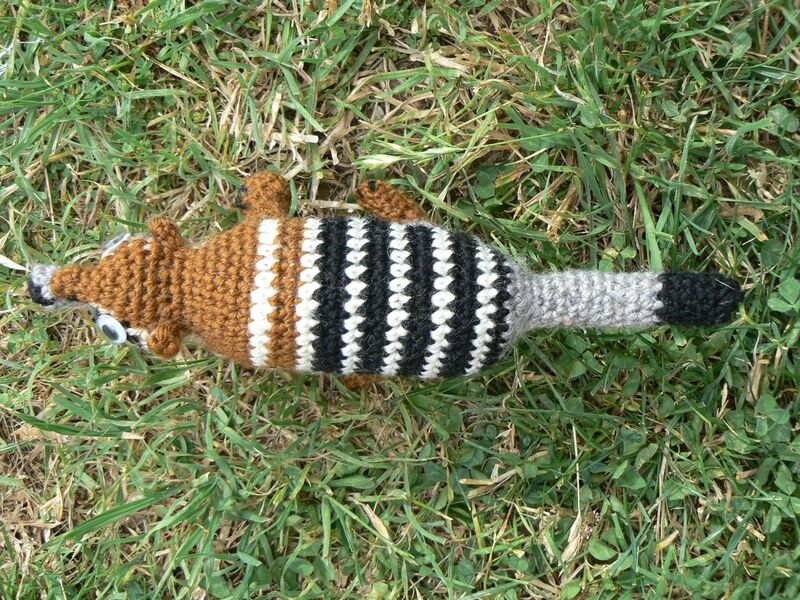 You will need dark brown, light brown, black, grey and white wool and a 3.5 mm hook. 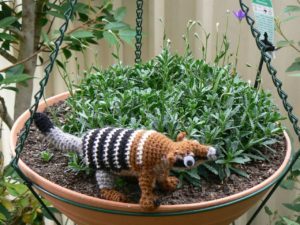 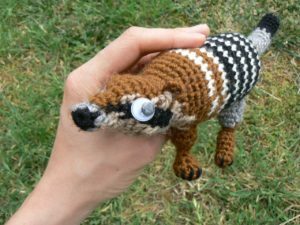 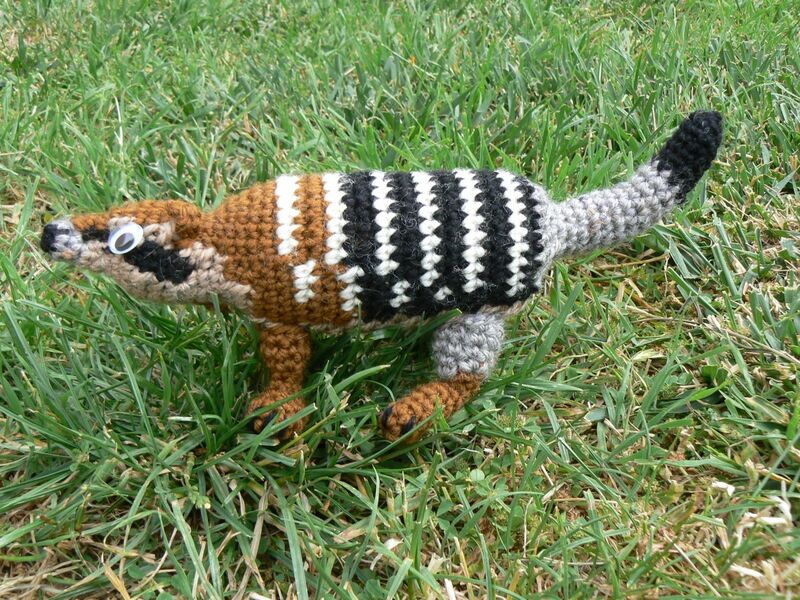 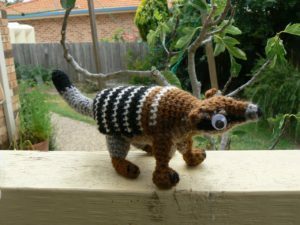 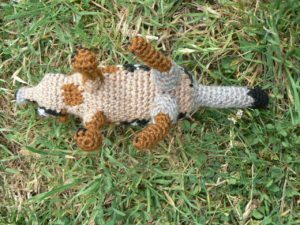 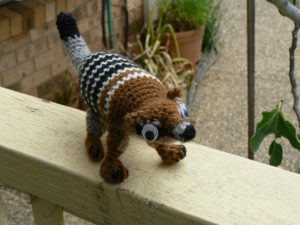 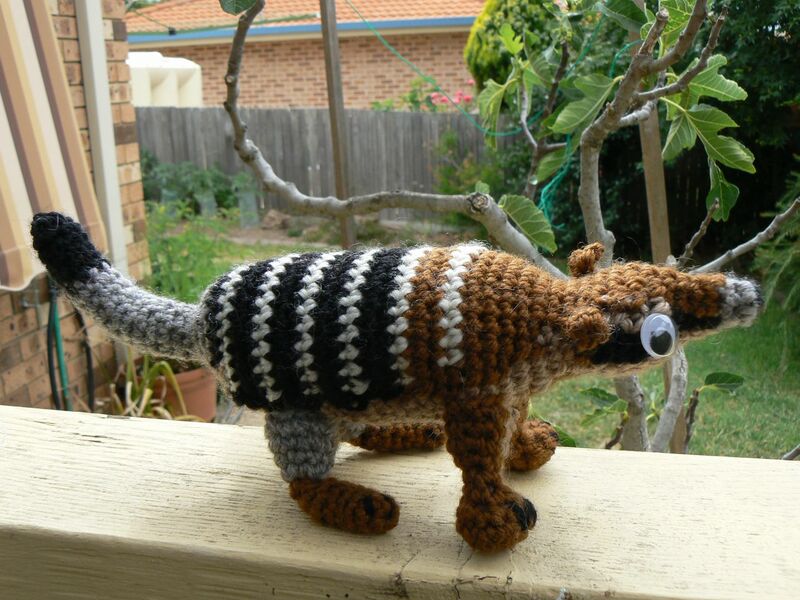 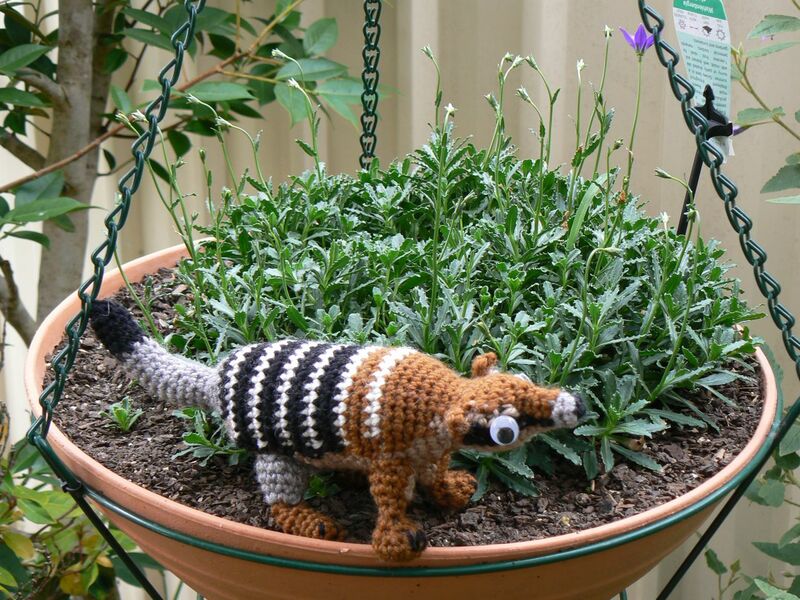 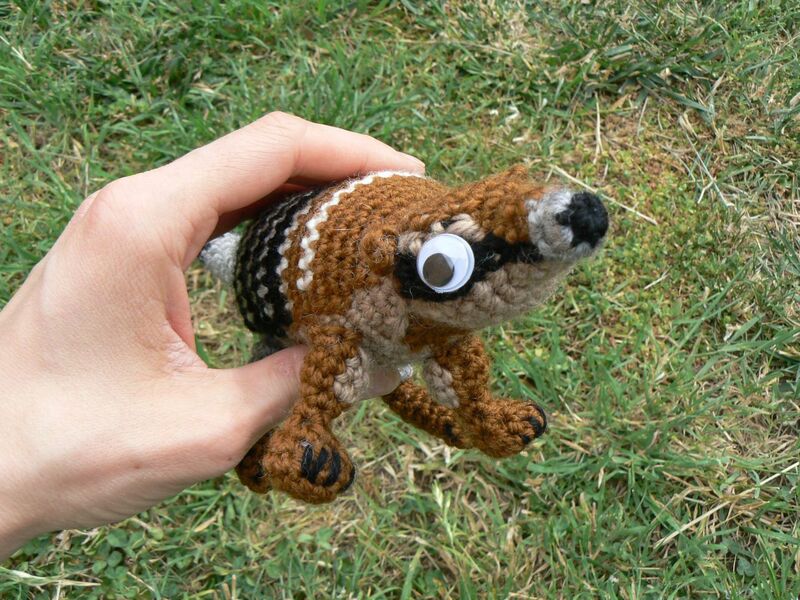 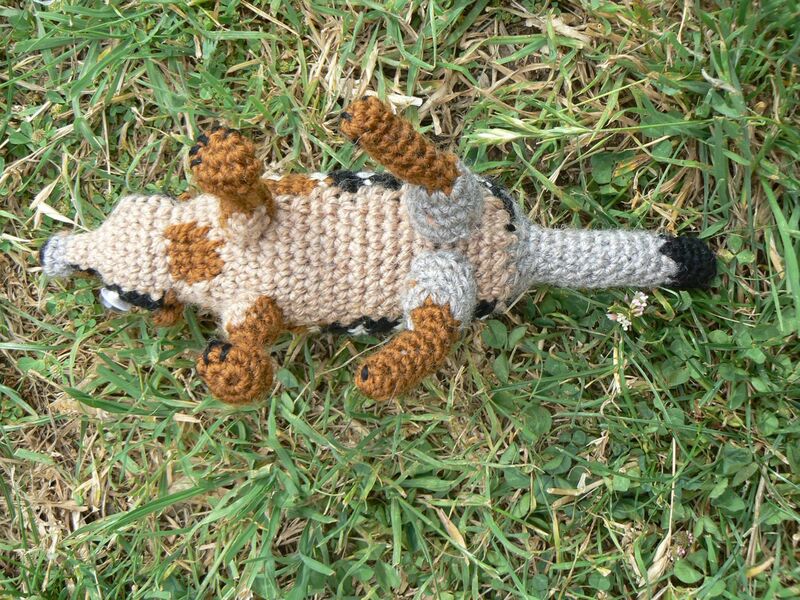 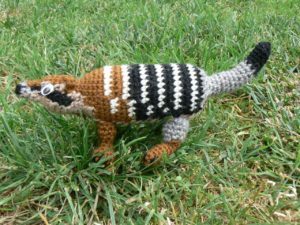 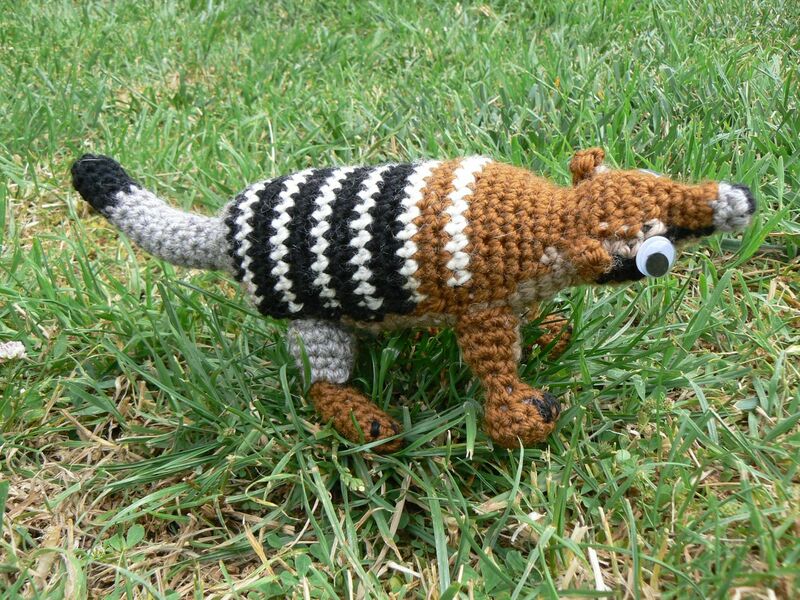 The finished numbat is 26 cm long. The faunal emblem of Western Australia (the numbat) hanging out with the floral emblem of the ACT (the royal bluebell). 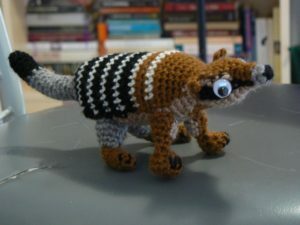 Round 55: decrease until the hole closes. 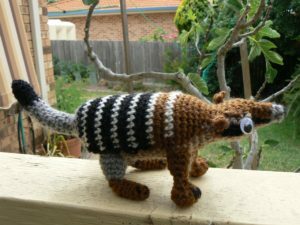 Weave in the end. 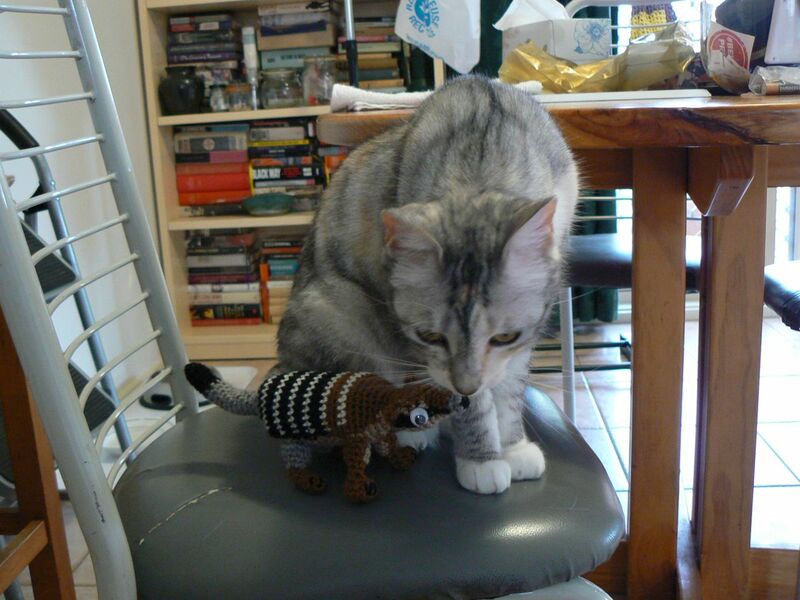 The cat and the numbat are plotting. 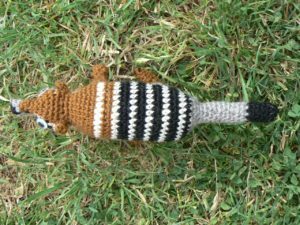 Use black to embroider some claws. Sew on some googly eyes. 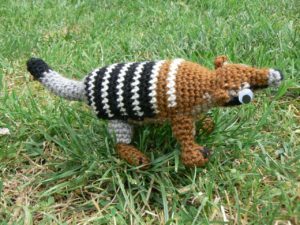 Sew on the forelegs and rear legs.